Avenge your fallen family members in the Wild West in this goofy, 2D/3D hybrid turn-based action game. Players may use their action points each turn to move throughout each room, attack enemies, and use abilities. In this game I implemented all of the 3D art in a pseudo-8-bit style. I made all textures in a low resolution, with filtering disabled on import, for a slightly pixelated, retro aesthetic. Using Blueprints, I wrote the AI enemies' wander and attack routines. The enemies are able to navigate a room with obstacles, wander or move toward the player, and attack the player once in range. I used public-domain sound effects from freesound.org to create the game's sound effects by editing them in Audacity. I also composed the game's single song using FL Studio 12 and my Stratocaster. On this project I wrote a simple dynamic music system using Unity's built-in C# coroutines. The system allows for crossfading between various musical instrument tracks which play concurrently. This allowed our team's designer to customize which tracks came in during which waves, making the music a unique part of the game experience. Using FL Studio 12 and my trusty Stratocaster, I also wrote the game's funk soundtrack. The music is separated into different music tracks for use by the dynamic music system. I created the game's visual effects with Unity® software's in-built Shuriken particle system, in an over-the-top style inspired by Vlambeer's work. Other is an experimental bullet-hell game written in C# on Unity® software for Windows and Android. The game explores the ups and downs of a romantic relationship, featuring two connectable halves of a heart as the main character(s). Check it out on GameJolt and the Google Play store! I wrote the AI behavior for the computer-controlled "significant other" in the game, a separate half of a heart that initially avoids the player if they try to get too close. Eventually it lets the player connect with it, creating a whole heart that is heartier (ba-dum-tss) and capable of withstanding more damage from the obstacles in the game. I created the starry background effects and trails for the "enemies" in the game using Unity®'s Shuriken particle system and in-built trail renderer. I wrote the game's single song in FL Studio 12 with a virtual piano plugin. The song is architected to closely match the game experience, with a tentative and cheerful start, a dark and intense middle section, and a bright and optimistic ending. Strand is an experiential horror game written in C# on Unity® software for Windows. The player is dropped into the depths of the sea, stuck inside a recreational bathysphere. The game placed within the top 10 games in each of the jam's categories -- and was ranked 9th overall out of 106 entries. 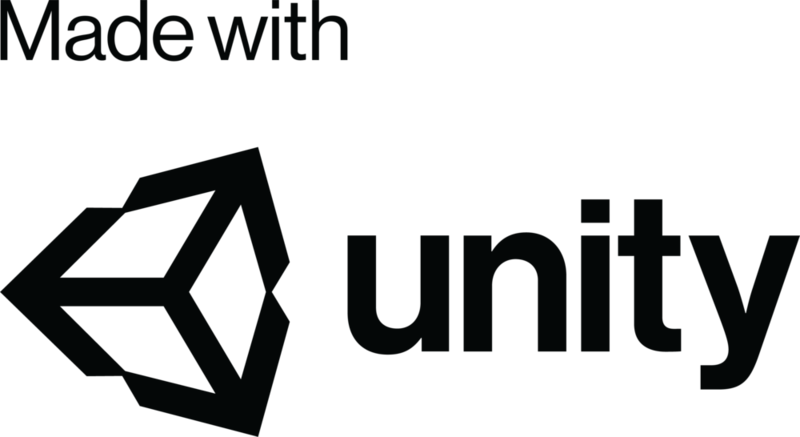 I created the game's visual effects with Unity®'s Shuriken particle systems. I wrote the game's soundtrack in FL Studio 12. The soundtrack has four "phases," designed to match and amplify the various emotional stages the player's avatar experiences.